The Bright Orange color really stands out and give this home a great personality. 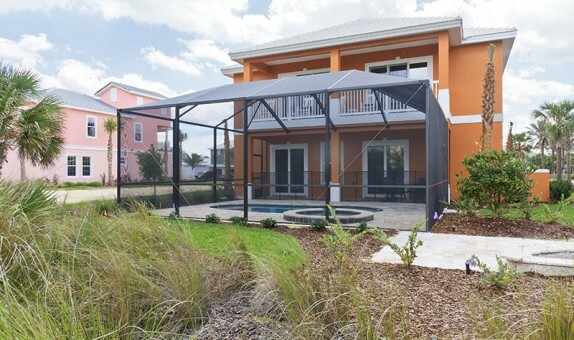 The Pool Enclosure is made to withstand above code wind loads. The screen on this enclosure is Vinyl Coated Fiberglass to help it stand up to the harsh coastal salt air. The pumps and equipment are high quality, including a salt system to help with chemical costs. The Pool and Hot Tub are heated with a heat pump similar to one found on your cooling system in your home, this really cuts down on pool heating costs.